Samikah Johnson with the Attorney General's office came and shared information about Leslie Rutledge's new program, Prescription for Life. Arkansas Attorney General Leslie Rutledge is focusing on the abuse of prescription drugs by high school students in the state of Arkansas. Because Arkansas currently ranks first in the nation for prevalence of children aged 12-17 who use pain relievers for non medical purposes, Rutledge finds it crucial that we reach children early and teach them the dangers. To take action quickly and attempt to beat t tohe odds of more children becoming addicted, Rutledge is bringing life-saving prescription drug abuse prevention education to as many high schools in Arkansas as she can. Rutledge believes we must educate them about the harmful effects of prescription drug abuse by making it a topic children talk about at home and in the classrooms. This is where Prescription for Life comes in. Prescription for Life is a digital course that provides students 9-12 with knowledge and skills they can use to make good and healthy decisions about prescription drug abuse. This 30-45 minute course uses an evidence-based, public health approach to help relate to students. The self-paced modular course also uses videos, animations, and simulations to deliver a self-guided learning experience. 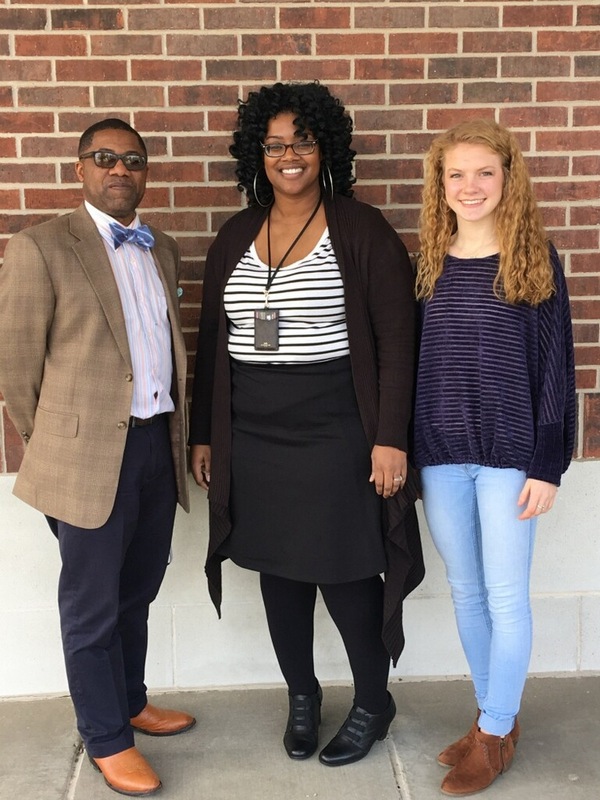 Pictured above are SCHS Principal Jason Williamson, Samikah Johnson, and freshman Marissa Owen.